These are the classic auto service dispatch numbers. 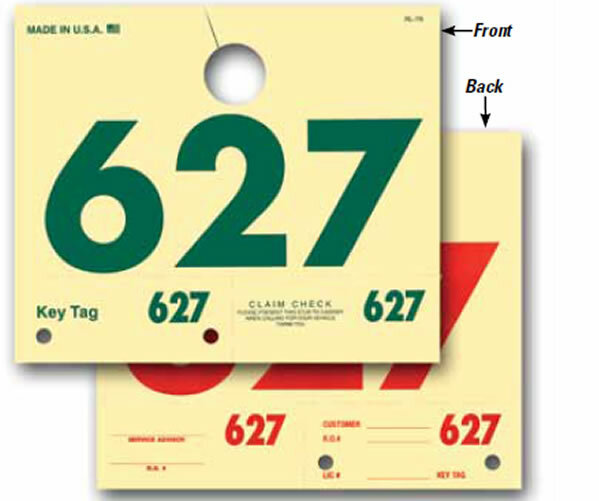 This item goes by many names such as: hat numbers, spotter numbers, power numbers, auto service dispatch numbers, hat tags, job numbers, locators, tower numbers or service claim check tags. They're guaranteed to be compatible with Reynolds and Reynolds form dispatch numbers form #RL-78. 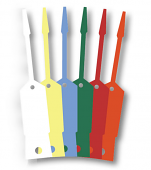 Using these allow you to avoid confusion and save time by being able to quickly identify all your repair jobs using these auto repair identification numbers. Auto service dispatch numbers enable you to keep all the keys matched-up with the cars you have in your repair shop or service department. These come padded for your convenience. COMPARE OUR PRICE to Great American Automotive Products. THEY'RE MORE EXPENSIVE … American's Price is 1000 @ $110.00 (#BFA78).